NASA says during Campaign 12, a cosmic ray event reset the spacecraft's onboard software causing a five-day break in science data collection. 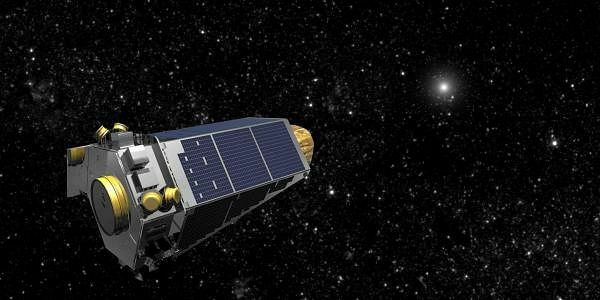 WASHINGTON: NASA's planet-hunting Kepler space telescope was hit by a cosmic ray event during a recent campaign to observe TRAPPIST-1, a star system that hosts at least seven Earth-sized planets only 40 light-years away. "During Campaign 12, a cosmic ray event reset the spacecraft's onboard software causing a five-day break in science data collection," NASA said in a statement on Wednesday. "The benign event is the fourth occurrence of cosmic ray susceptibility since launch in March 2009. The spacecraft remains healthy and is operating nominally," the US space agency added while announcing the release of the data Kepler gathered about TRAPPIST-1. On February 22, astronomers announced that the ultra-cool dwarf star, TRAPPIST-1, hosts a total of seven Earth-size planets that are likely rocky, a discovery made by NASA's Spitzer Space Telescope in combination with ground-based telescopes. Kepler space telescope also has been observing this star since December 2016. During the period of December 15, 2016 to March 4, the Kepler spacecraft, operating as the K2 mission, collected data on the star's minuscule changes in brightness due to transiting planets. These additional observations are expected to allow astronomers to refine the previous measurements of six planets, pin down the orbital period and mass of the seventh and farthest planet, TRAPPIST-1h, and learn more about the magnetic activity of the host star. "Scientists and enthusiasts around the world are invested in learning everything they can about these Earth-size worlds," said Geert Barentsen, K2 research scientist at NASA's Ames Research Center at Moffett Field, California. "Providing the K2 raw data as quickly as possible was a priority to give investigators an early look so they could best define their follow-up research plans. We're thrilled that this will also allow the public to witness the process of discovery," Barentsen said. The release of the raw, uncalibrated data collected will aid astronomers in preparing proposals due this month to use telescopes on Earth next winter to further investigate TRAPPIST-1, NASA said.